Here at Pirate’s Cove Realty, we know that pets are an important part of your family. That’s why our Outer Banks pet-friendly vacation rentals allow you and your furry friend to enjoy your beach vacation together! Many Pirate’s Cove Realty vacation homes welcome our four-legged friends. Our Outer Banks pet-friendly vacation rentals are unique because we’ll pamper your furry friend with our luxury pet amenities. They’ll enjoy miles of boardwalk to explore the Outer Banks beauty. Ducks, geese, fish and other wildlife are waiting to greet and welcome your four-legged friends to the Outer Banks. We’ll help you find other places to walk them, find people to sit them, and guide you to Outer Banks pet-friendly eateries, shops, and must-see pet-friendly OBX attractions. Our Outer Banks pet-friendly vacation rentals also come supplied with loaner bowls, beds, and even pet gates when available. Door hangers alert other guests and staff that your beloved pet is in the vacation house or condo. Courtesy bags for walking your dog are available throughout the Pirate’s Cove resort and Manteo does have a leash law in effect. Pet beds and other treats are available upon arrival. Please note: a deposit may be required for some loaner items.  Bring your buddy to the Pirate’s Cove Realty office for a special gift bag and a photo for the best guests around. We love our pet guests and hope they enjoy their stay in the Outer Banks.